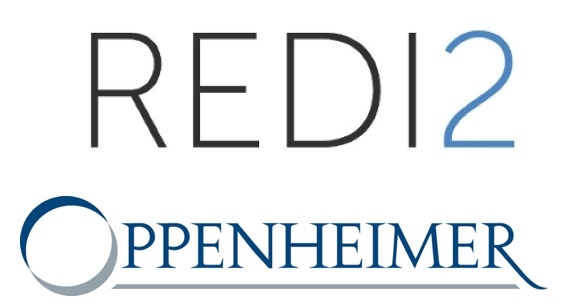 BOSTON, December 5, 2017	(Newswire.com) - Redi2 Technologies, the premier provider of hosted fee billing and revenue management solutions to the global financial services industry, announced its integration with Oppenheimer Asset Management, an affiliate of Oppenheimer & Co. Inc., a leading investment bank and full-service investment firm providing investment banking, financial advisory services, capital markets services, asset management, wealth management, and related products and services worldwide. The collaboration of these two financial service industry leaders will provide enhanced functionality and improved efficiency in the billing and payout processes, resulting in a superior user experience for the Oppenheimer advisory community. Headquartered in Boston, Redi2 Technologies offers a comprehensive, SaaS revenue management platform to the global financial services industry, serving investment management firms with aggregated assets under management of more than $5.5 trillion. Since its 2002 founding, Redi2 has leveraged technology to automate client reporting, fee billing and invoicing for wealth and investment managers. Redi2 is a Software as a Service (SaaS) pioneer and a market leader in vendor-hosted fee billing for firms of all sizes. For more information, visit www.redi2.com. Oppenheimer & Co. Inc. (Oppenheimer), a principal subsidiary of Oppenheimer Holdings Inc. and its affiliates provide a full range of wealth management, securities brokerage and investment banking services to high-net-worth individuals, families, corporate executives, local governments, businesses, and institutions. For more information, visit www.opco.com.